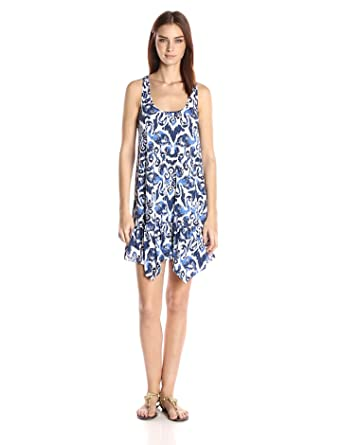 This sleeveless dress combines a vibrant pattern, flouncy hem, and racerback straps for a cute, carefree look. 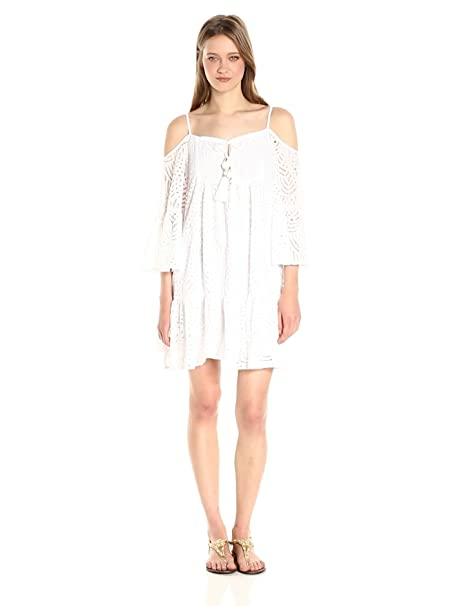 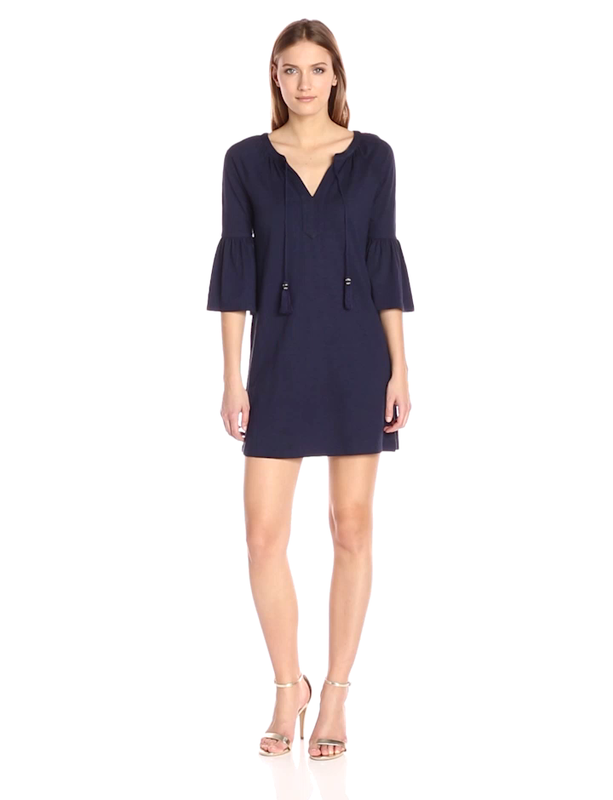 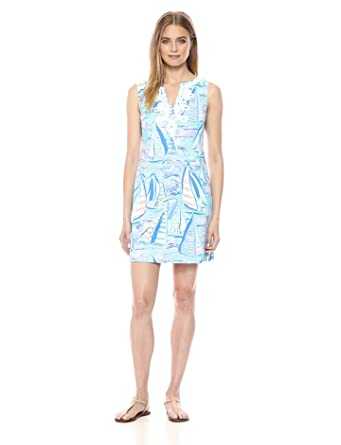 Bound to be a new favorite, the beacon dress is the perfect printed t-shirt dress. 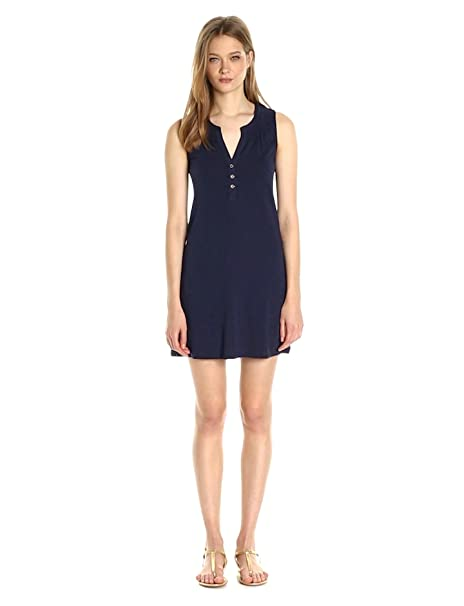 19 inch sleeveless dress with button details at center front placket and smocking around neckline. 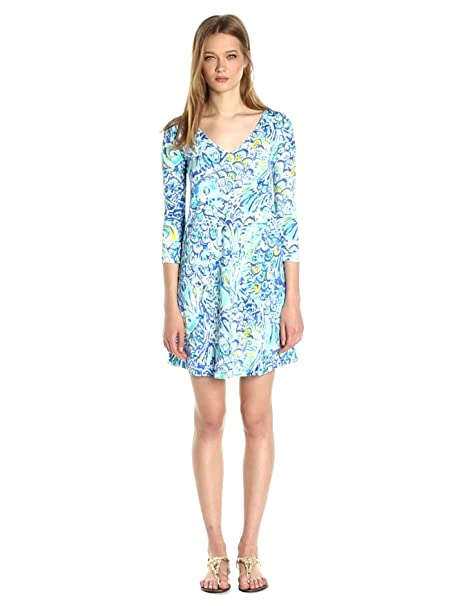 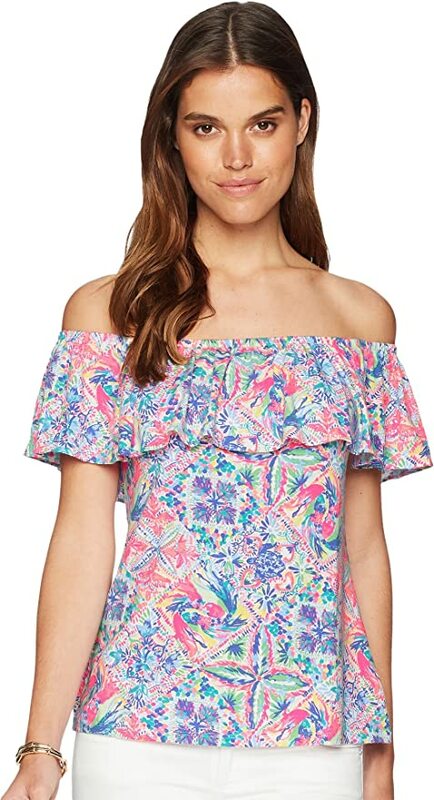 20 1/2 inch printed v-neck easy t-shirt dress with 3/4 length sleeves and shirttail hem.37″ From Top Of Shoulder To Hem.